Printer manufacturers have been ripping us off for years! 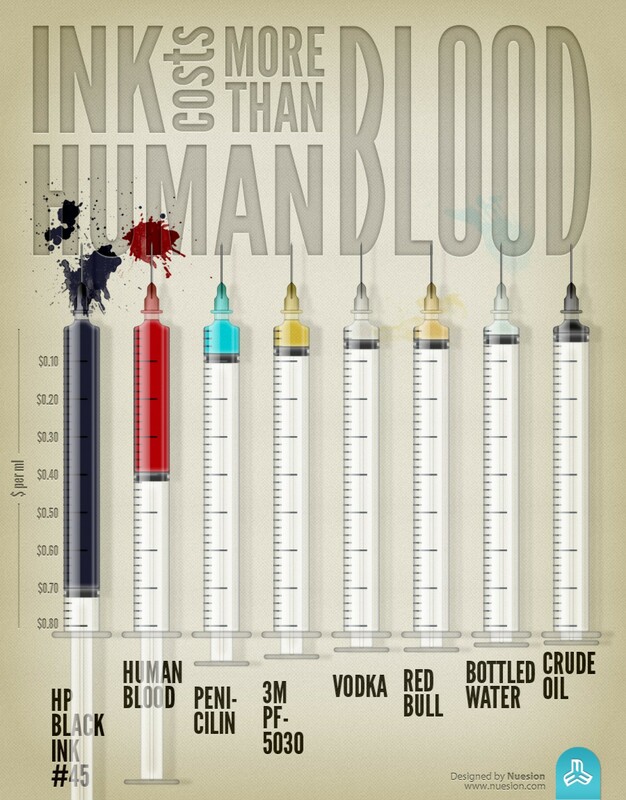 With the cost of living going up each year and big financial corporations ripping us off left, right and centre it comes as no surprise that printer ink actually costs more than human blood. We could guess that printer ink was expensive because the replacement ink cartridges actually cost more than the inkjet printers they were made for. Take a look at this infographic by Nuesion and compare the price with a number of liquid based-products from oil to printer ink and see the price difference and it just goes to show that printer manufacturers have been ripping us off for years the money grabbing b*#tards!